There are many different ways to teach the stop whistle. And not a little controversy about which methods are best! This article contains a video of the first steps in my preferred method. It is worth pointing out that some gundog trainers still teach the stop whistle using the ‘challenge’ method. This simply means that the dog is taught the basic whistle command, and then ‘challenged to disobey’ by using the command in a situation where the dog is quite likely fail. When he disobeys, by moving from the sit, he is then punished. [wp_ad_camp_1]Usually by being dragged back to the point where he was instructed to sit. He finds this unpleasant and eventually learns not to disobey in the future. 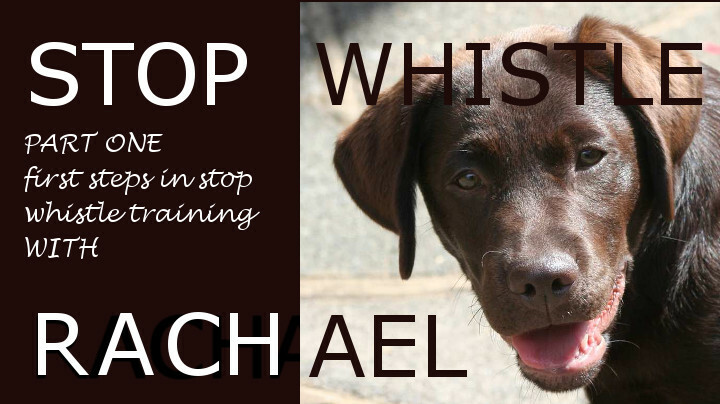 When I first started gundog training around 35 years ago, that was how pretty much all spaniel trainers taught the stop whistle. Including me. Nowadays, some of us are using a different approach. And that is what you will see in the video below. This is the method described in the series on this blog. You’ll notice I use food quite a lot at this stage. I find this gets me a nice sharp sit. Later on, the retrieve becomes the reward. Thanks for the great video and instructions on how to teach the stop whistle. I am currently using this method to train my 4 month old lab. We are still working with leash and taking it slowly. I am looking forward to the next part. I am especially curious about how you reward the dog from distance with a retrieve. Do you throw him a dummy, which he then retrieves? Where do you throw the dummy? Do you use directional commands to release the dog from his sit position and to allow him to pick up the dummy?